Disney continues their incessant parade of live-action remakes with this soulless and garish recreation of one of their most beloved classics and the only animated film to be nominated for Best Picture before the genre received its own award category in 2001. 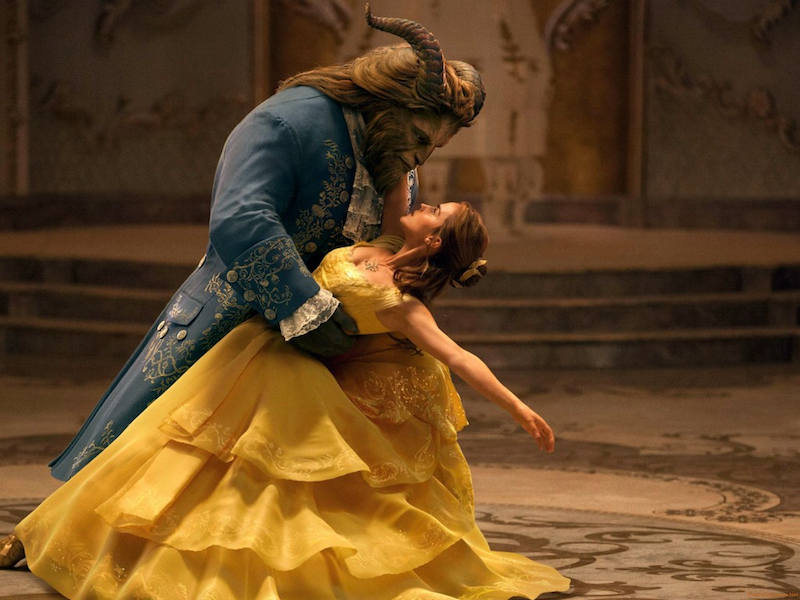 Beauty and the Beast directly copies so many elements of the 1991 original that it threatens redundancy during every scene and seems to profess its inferiority with each passing minute. I wasn’t the biggest fan of last year’s Jungle Book rehash but at least that film had an engaging visual strategy and a fresh perspective on the source material, aspects that are sorely needed in this bungled attempt of an adaptation. The story once again introduces us to an arrogant prince (Dan Stevens) who is transformed into a hideous beast by an sorceress after she is scornfully denied shelter in his mansion, only to be turned human again when he earns the love of another. We then meet a free-spirited bookworm named Belle (Emma Watson), who lives in a quaint French village with her charming father Maurice (Kevin Kline) while fending off the lecherous advances of the haughty townsman Gaston (Luke Evans). After Maurice is imprisoned by the Beast for trespassing, Belle offers to take his place in the haunted castle instead but after spending time with her captor, an unlikely romance begins to bloom. Director Bill Condon has the unenviable task of essentially trying to improve on perfection, which includes carbon copying all of the successful portions of the 85-minute original and adding unnecessary plot details and extra musical numbers until we reach a bloated 130-minute runtime. To his credit, his film is paced rather well considering all of the superfluous baggage that threatens to weigh it down but he also doesn’t even attempt to make his own mark on this story either. Nearly everything in Beauty and the Beast is overdone, from the murky visual style (I can’t imagine how drab the 3D version must look) to the embellished effects work that hits its low point with a visually incomprehensible version of “Be Our Guest”. In keeping with the overly polished aesthetic, the majority of the vocal performances (especially those by Emma Watson) come across as very “processed” with noticeable amounts of pitch correction being applied to singers who may not even need it in the first place. In contrast to this, Watson does her best to lend some naturalistic touches to her acting, which can be a tricky thing considering she’s mainly acting against a cast that’s added in post-production. Dan Stevens, who I loved in The Guest, doesn’t fare nearly as well in this conception of the Beast that obscures any emotive possibilities with weak motion capture and a lack of clarity that renders his character a moody mess. Save for a few lines of new dialogue and a revised musical score by composer Alan Menken, I struggle to recall a single thing that this remake does that the original didn’t do better in the first place and while watching it, I found myself often wishing that I could watch the animated version instead. Its storytelling is much more efficient, its hand-drawn technique is superior to the standard issue computer-generated effects and most surprisingly, there’s a wit and comedic timing to the original that is completely absent from this rendition. Disney had the opportunity to re-contextualize this “tale as old as time” but by playing it safe and sticking to the profit-oriented playbook, they did a disservice to one of their greatest achievements.